Rae Carruth, who played for the Carolina Panthers, walked free Monday morning. 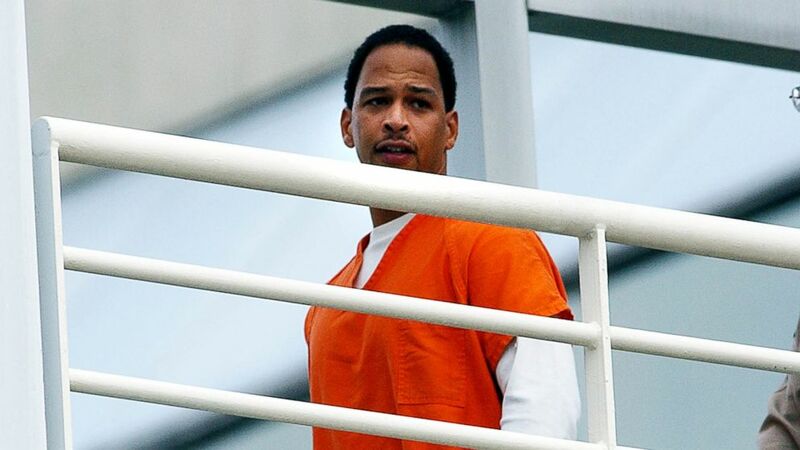 Ex-NFL player Rae Carruth was released from prison Monday morning after spending nearly two decades behind bars on charges stemming from the murder of his pregnant girlfriend. 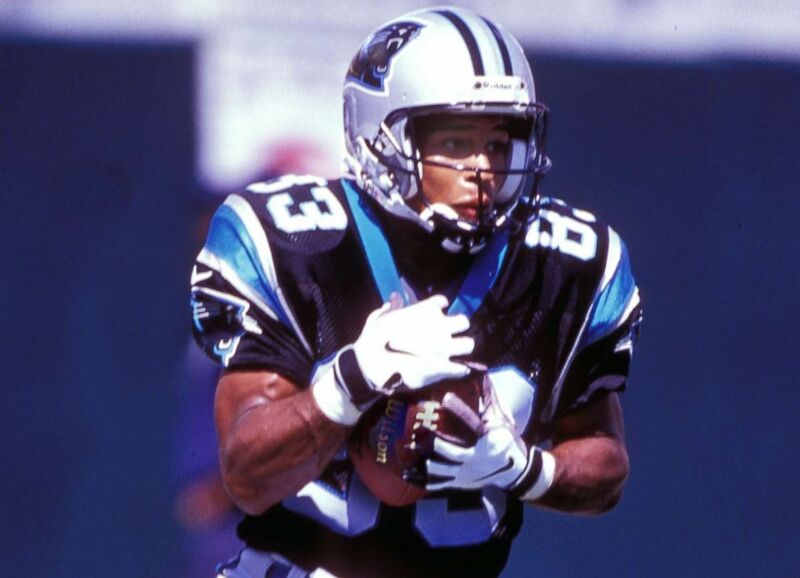 Carruth, a former wide receiver for the Carolina Panthers, was sentenced to 18 to 24 years in 2001 after a jury found him guilty of conspiring to murder Cherica Adams. "I'm excited about just being out of here. I'm nervous just about how I'll be received by the public,” Carruth said in a phone interview with ABC affiliate WSOC-TV on Sunday. "I still have to work. I still have to live. I have to exist out there and it just seems like there is so much hate and negativity toward me. I'm actually some what frightened." (Jeff Siner/The Charlotte Observer via AP) Former Carolina Panthers NFL football player Rae Carruth is driven from the Sampson Correctional Institution in Clinton, N.C., Oct. 22, 2018. Prosecutors said Carruth hired Van Brett Watkins and Michael Kennedy to kill Adams in November 1999, when she was eight months pregnant. 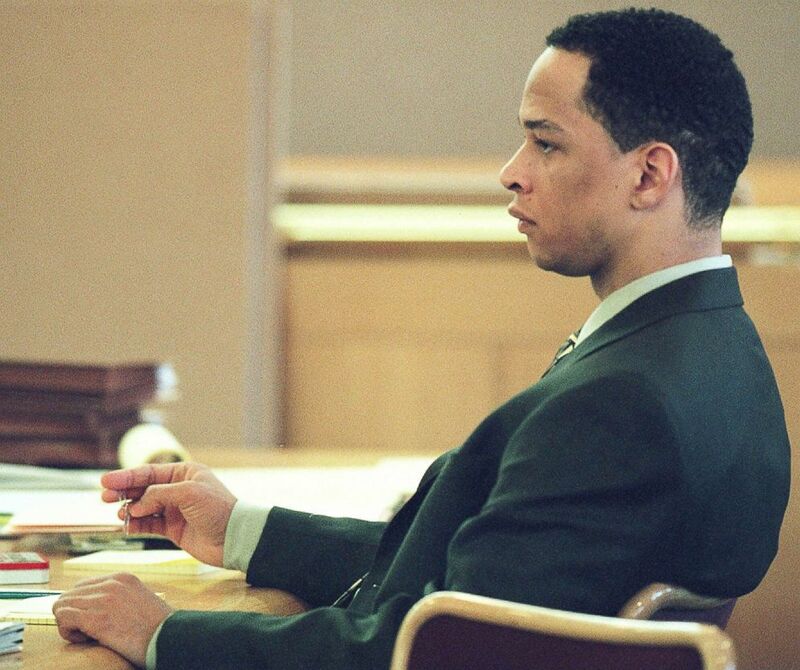 (Jeff Siner/AP) Former Carolina Panthers football player Rae Carruth sitting at the defense table during his trial in Charlotte, N.C., Jan. 3, 2001. Lawyers for Carruth are asking a federal appeals court to reconsider his conviction for plotting to kill his pregnant girlfriend. Adams, 24, was following Carruth in a separate vehicle after a movie when Watkins and Kennedy pulled up beside her. Prosecutors said Carruth used his vehicle to block Adams' car while Watkins opened fire on her. She died four weeks after the shooting. Her son, Chancellor Lee Adams, was born via a cesarean section and had severe injuries. Chancellor Lee Adams, now 18, has been living with his maternal grandmother, Saundra Adams, and was diagnosed with cerebral palsy. Carruth said he hopes to "make things right" with both of them once he's released. (David T. Foster III/The Charlotte Observer/AP) Former Carolina Panther Rae Carruth is escorted by Mecklenburg County Sherrif deputies into the Mecklenburg County Courthouse for a civil hearing, Oct. 13, 2003, in Charlotte, N.C.
"I've apologized to Ms. Adams for the loss of her daughter and taken responsibility for what happened," Carruth said. "I don't want to harm Ms. Adams. I guess, honestly, I just want to truly be forgiven." Saundra Adams told the Charlotte Observer earlier this year that she would "leave the door open" for a potential relationship with Carruth. (Al Messerschmidt/AP) Carolina Panthers wide receiver Rae Carruth (83) catches a punt during an NFL football game in 1998. "I've forgiven Rae already, but to have any type of relationship with him, there does have to be some repentance," Adams said in February. "And I think this opens the door. But I can say definitively he's not ever going to have custody of Chancellor. "Chancellor will be raised either by me, or, after I'm gone, by someone else who loves him and who knows him. He will never be raised by a stranger -- someone he doesn't know and who tried to kill him." Carruth, a 1997 first-round draft pick, was found guilty of conspiracy to commit murder, discharging a firearm into occupied property and attempting to destroy an unborn child, court records show. Watkins, who pleaded guilty to second-degree murder, was sentenced to a minimum of 40 years in prison. Kennedy, who drove the car, was released in 2011.